For easy-to-follow instructions for cleaning and preparing squid, look at our helpful video tutorial. If preferred, the squid can be sliced before cooking and marinated in the bag with olive oil, garlic and herbs. 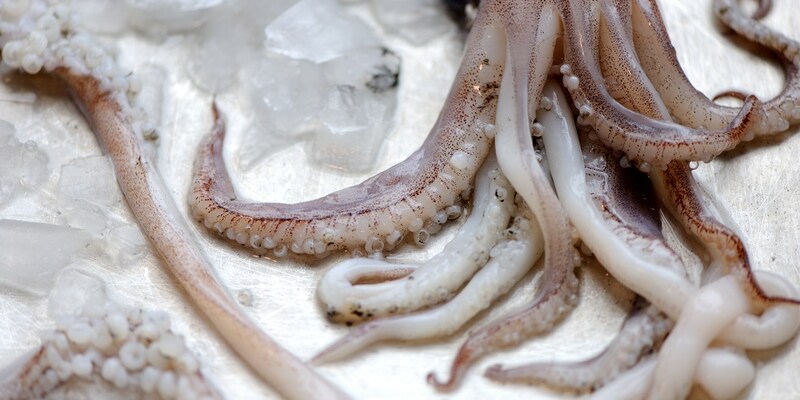 After cooking sous vide the squid is ready to eat however, if you prefer a chargrilled flavour the squid can be quickly seared in a very hot frying pan or battered and deep-fried. Dominic Chapman serves a simple Squid salad with ‘nduja and creme fraiche. Nathan Outlaw serves squid with Red mullet, oven-dried tomatoes, wild fennel and pickled mushrooms. One of Pierre Koffman’s signature dishes is Squid bolognese.